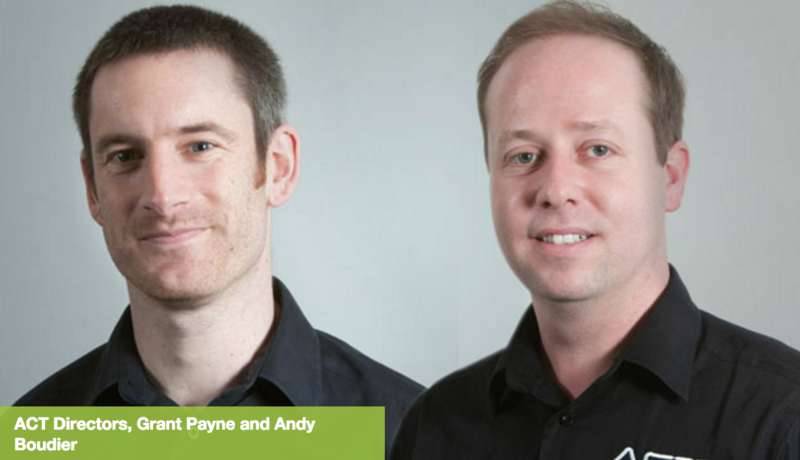 Andy Boudier and Grant Payne met whilst working for Parker Hannifin, the global leader in motion and control technologies. They both served full engineering apprentices, achieving both practical City and Guilds, NVQ level 4 and HND qualifications. Grant worked his way up through manufacturing and production to a niche position in the global rapid response team in production automation. This involved developing software for automated design and machining and, as a side project, the development and implementation of a corporate driven Product Data Management system. Shortly before leaving the company after 10 years service, Grant was presented with a corporate award in Cleveland, Ohio for the works completed in these areas and for PDM in particular. Andy worked within the design department and progressed to senior design engineer working with cutting-edge AutoCAD technologies. Both Andy and Grant were heavily involved in the creation and implementation of ISO 9001 standards and procedures. In 2001 Parker Hannifin implemented mass redundancies and, unfortunately, (or fortunately!) both Andy and Grant were part of that process. At that time they discussed the concept of ACT but the timing did not feel right and they were conscious of their lack of experience outside the corporate world. As a result, they went off different directions. Grant decided to look for a more commercial/sales roles in order to gain that value experience required and quickly secured a technical sales role for the largest 3D modelling software reseller in the UK. Covering the whole of the UK and Ireland, the position involved demonstrations, negotiations, project implementation and planning. Andy took the brave step of becoming self-employed and decided to apply his technical skills in the SME arena. This enabled him to understand the expectations of these types of business. It was at this point that ACT was born (Andy's Computer Training). Andy quickly built a healthy customer base of respected small businesses, as well a county-wide contract for Comet Cover user warranties. In 2003, the timing felt right and Grant joined Andy to launch ACT Ltd in Berkshire on 1st October 2003. Every business starts small and many start at the kitchen table! Andy and Grantâ€™s kitchen table was an office in Grantâ€™s garage and not even the budget to buy two office chairs! Ten years on and surviving two recessions, the business has grown to become a thriving IT support company with a staff of 13, located in the heart of the M4 corridor just off Junction 11 at Reading.